There are some cancers which have seen remarkable progress in survivability but others that are just as deadly as they were 40 years ago. Together they now make up half of all common cancer deaths in the UK. 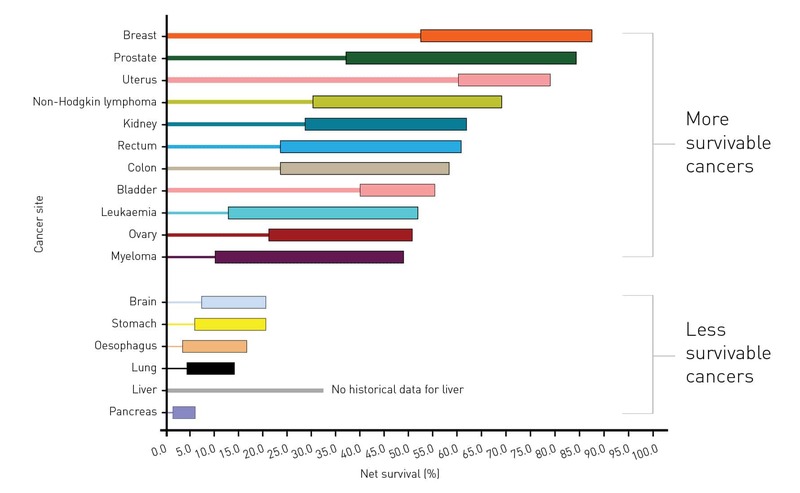 This radical new taskforce represents the ‘less survivable cancers’, lung, liver, brain, oesophageal, pancreatic and stomach, all with a five year survival rate of less than 30% due to a legacy of neglect and underfunding.